A change in the weather meant that these babies needed to come in and ripen in my kitchen. 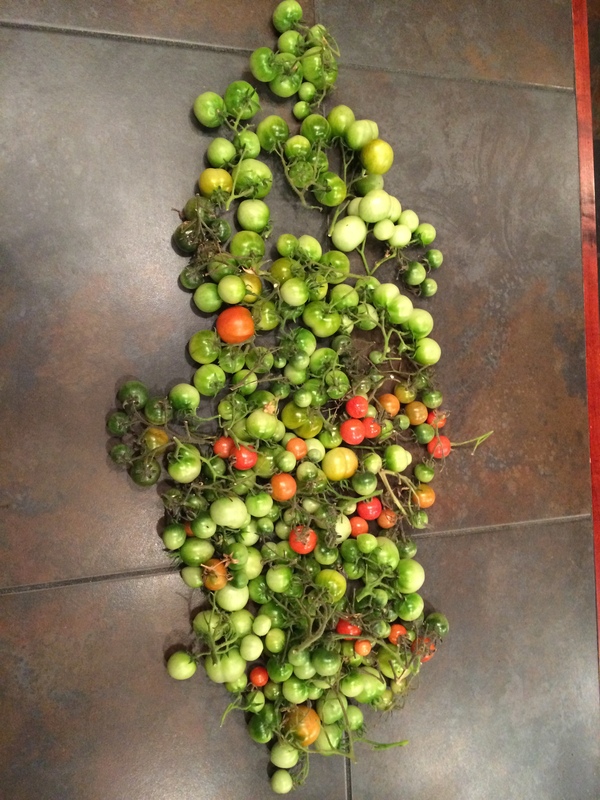 Today has been a day of harvesting. 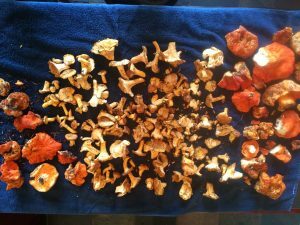 After bringing in the tomatoes we went mushrooming in the Olympic Mountains and came back with a bonanza of Lobster and Chanterelle mushrooms. 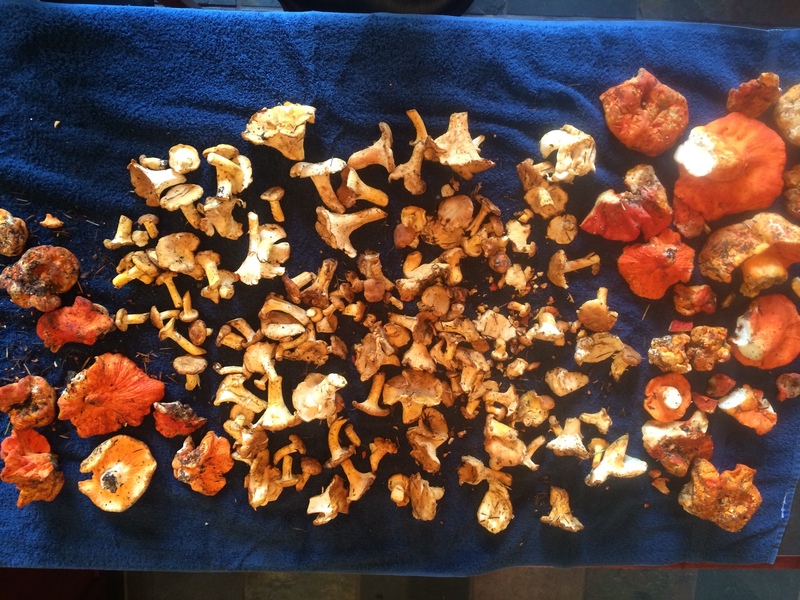 8 pounds of Chanterelles and Lobster mushrooms gathered this morning. This entry was posted in Creativity, fiction writer, Harvesting from the garden, Harvesting from the wild, Living the creative life, Professional Writer, Woman Writer, Writing Life and tagged art, author, ghost story, women, writing life. Bookmark the permalink.